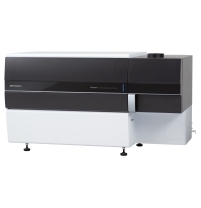 Shimadzu EDX-7000/8000 Energy Dispersive X-ray Fluorescence Spectrometer received Instrument Business Outlook's 2014 Gold Award for analytical instrument industrial design. We are pleased to inform you that, we FBC24X7, Foundry Business Centre, Rajkot are appointed by PERFOMAX ANALYTICAL Mumbai who is Authorised for SHIMADZU SPECTROMETER, as local representative in Rajkot. We would like to attached here with soft copy broachers for your ready reference. 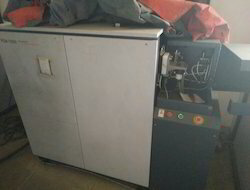 instrument not used, working in good condition. LCMS-8040 incorporates newly improved ion optics and collision cell technology to provide higher multiple reaction monitoring (MRM) sensitivity. These improvements also yield higher sensitivity for scan mode measurements, expanding the potential range of LC/MS/MS applications. Spectrometer from shimadzu corporation, japan for easy, quick & accurate analysis of various elements in ferrous & non-ferrous materials. Over 350 sets are installed in india.